Tens of thousands of visitors arrived in Frankfurt last week for Prolight + Sound 2019. Crowds gathered at the ETC and High End Systems stands in Hall 12.1 to get a look at the latest product innovations and the Hog Factor 2019 competition final. Attendees to the stands were able to catch demonstrations of Augment3d, ETC’s new fully integrated 3D programming environment in Eos v3.0. This innovation lets users control and design in a three dimensional space; as well as interacting with their fixtures through augmented reality. Augment3d made its European debut at Prolight + Sound, alongside High End Systems’ TurboRay. TurboRay is the newest automated fixture in High End Systems’ FX family. Its distinctive appearance with a classic retro design and radial diffusers attracted many visitors to the High End stand. Used as a narrow-angle wash light or as a powerful hard edge beam, TurboRay produces stunning aerial effects and more. 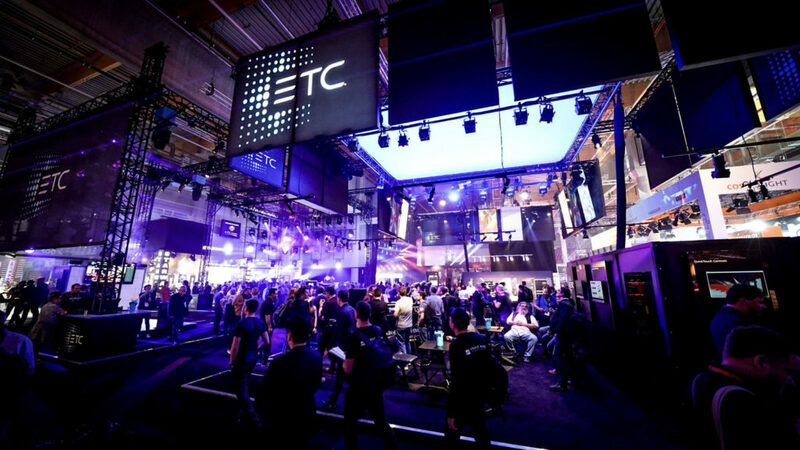 ETC’s Relevé Spot was another main attraction at this year’s exhibition. The moving light, specifically designed for theatre brings a calibrated four-color additive mixing system and unique Ani-gobo wheel that creates textures like never before. It is an automated light that brings affordable, high quality color mixing to smaller venues. Visitors explored the innovative Prodigy P2 hoist, with Prodigy Cable Management, and were introduced to ColorSource Raceway a lightweight power and data distribution system perfect for small venues. High End Systems’ Hog 4-18 console was used for the Hog Factor 2019 final which drew big crowds as three teams went head-to-head in the academic lighting programming contest. Industry lighting professionals Jojo Tillman, Marco Silva and Sander Den Otter judged the teams and awarded first place to ‘Team Vienna Illuminates’. The winning contestants – Andreas Aichholzer and Sebastian Schmid from Austria, performed in front of some of the industry’s most well-known companies and professionals. ‘Team AKA’ from the UK won second place, followed by ‘Team STEX’ from Austria. The teams took home a host of High End products as prizes and lighting design software company Capture, provided software licenses to each team as part of the prizes. ETC and High End Systems also delivered the annual Student Session in Hall 4.0. Experts from both companies hosted a Q&A discussion for aspiring lighting professionals and a behind-the-scenes look into the daily running of both companies. This year’s exhibition saw countless visitors eager to explore ETC and High End Systems’ latest products. Both companies plan to continue raising the bar with new, exciting and innovative products at Prolight + Sound 2020.